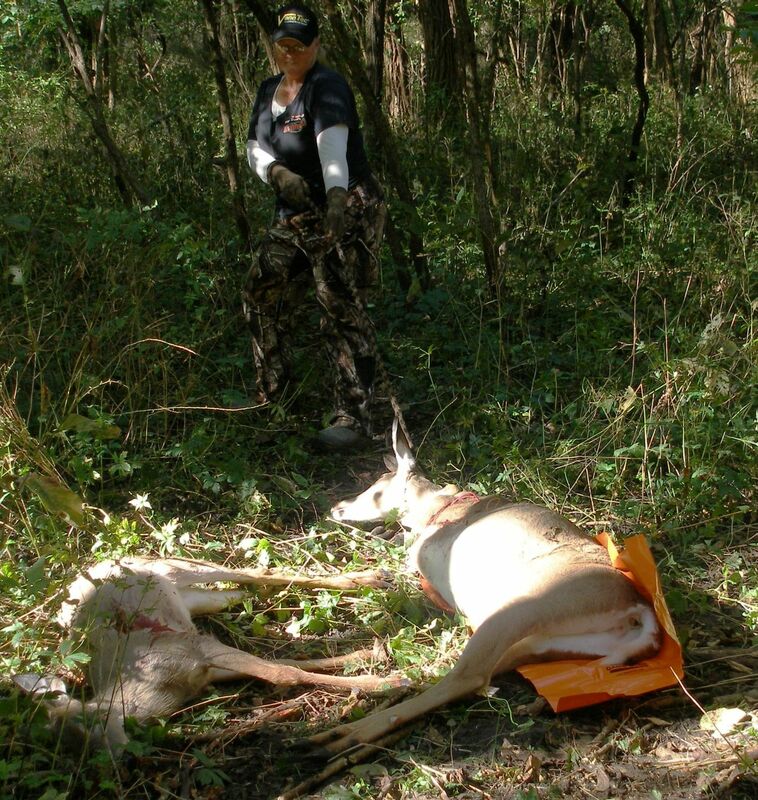 The Game Glide deer sled and Two Great Shots! 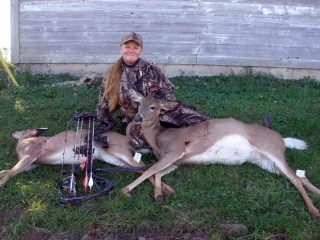 This is reposted from the original that is posted on in the Archery Product Review Section of HuntingNet.com. “So yesterday morning I killed two Illinois Deer and figured what better time to try out the Game Glide than on this Big Illinois Whitetail Doe. Well I found I could follow the illustrations in the instructions without my reading glasses and proceeded to load the doe on the Game Glide per the illustrations. After I had the doe loaded on the Game Glide and had my pull rope attached I started my pulling. Now as you can see I was having to glide her out of a pretty thick area chocked full of thorn covered multi flora rose bushes and alot of ground debris. 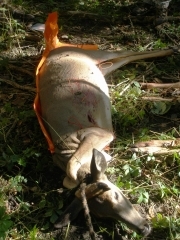 Now that I am quickly approaching the age of 50 with a bad shoulder and having suffered a partial finger amputation at work makes for not the easiest for me to drag deer these days. 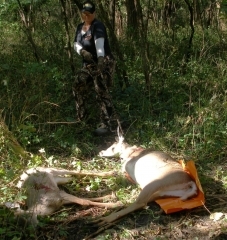 After we got the deer out I found you can wash off the Game Glide and fold it back up and the Game Glide appears to be in great condition to reuse it again. D.K. – Thank you very much for the photos and for the story. Congrats!